We woke up this morning to a blanket of white. It had been forecast so we were forewarned and had stocked up on groceries. 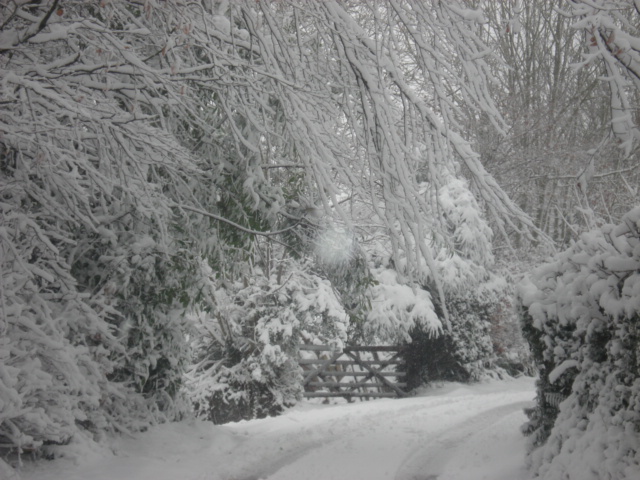 The UK never copes well with snow. 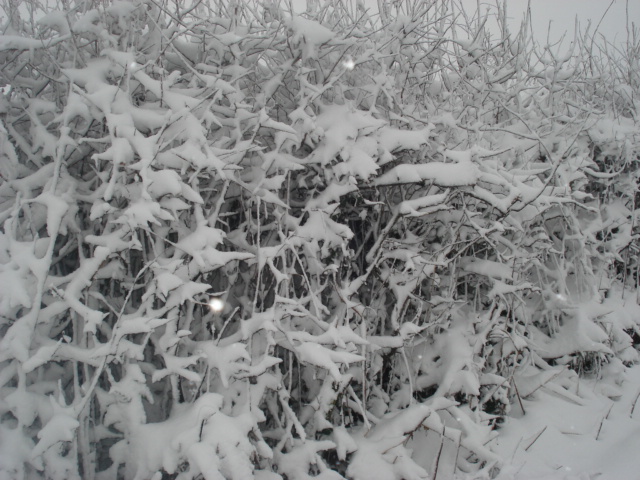 Schools and airports are shut; workers have not gone in today; roads are in chaos. I’m jolly glad we didn’t have to go out in the car today. 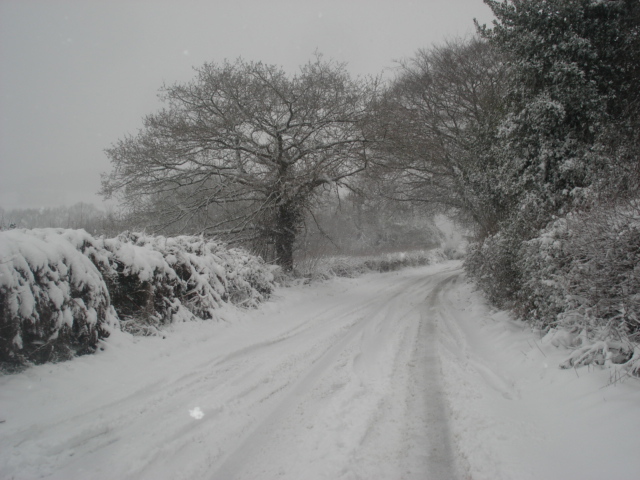 I think the UK just doesn’t have enough snow ploughs or snowblowers, so every time we get snow the country grinds to a halt. 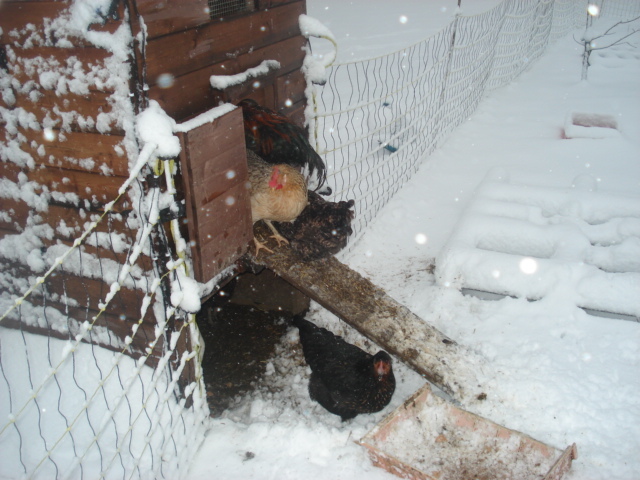 The hens were not at all happy, never having seen snow before they didn’t want to venture out. We tried to tempt them with food but only a couple came down the ramp. 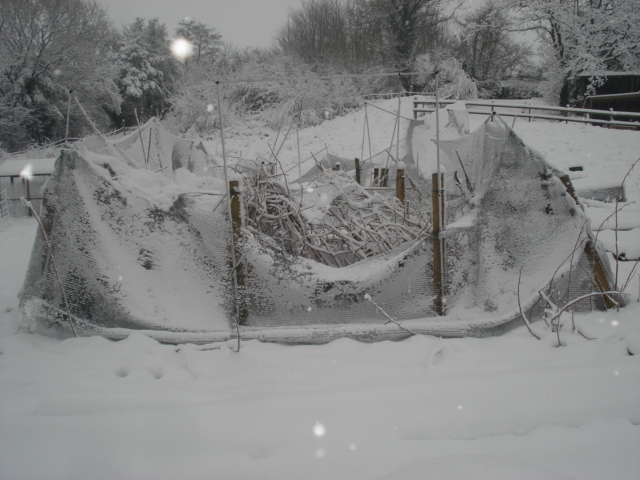 The Fruit cage has collapsed. The weight of the snow on the nets has pulled it down. That’s going to be a big job to mend that. 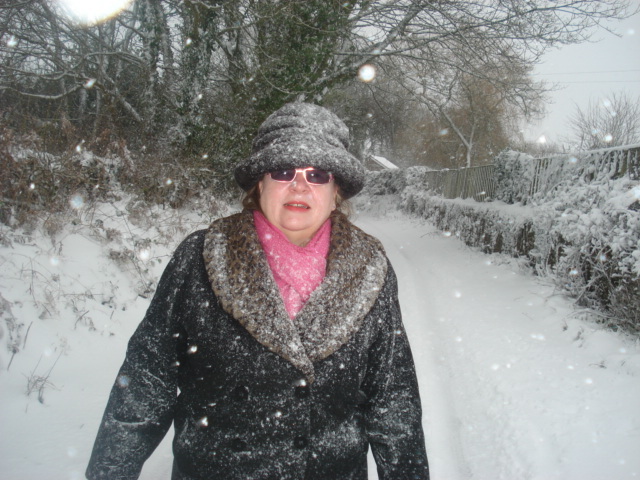 We donned our hats, scarves, coats and boots and went for a walk, crunching through the newly laid snow. 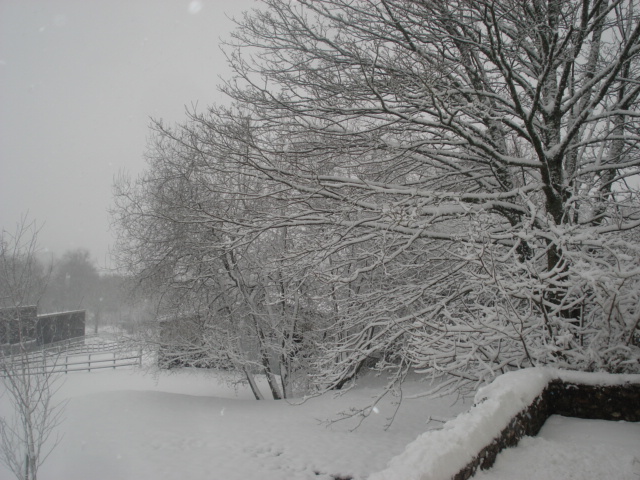 It was not so nice with the snow blowing onto our faces, but envirgorating to be outside. Not much traffic had been down our lane. 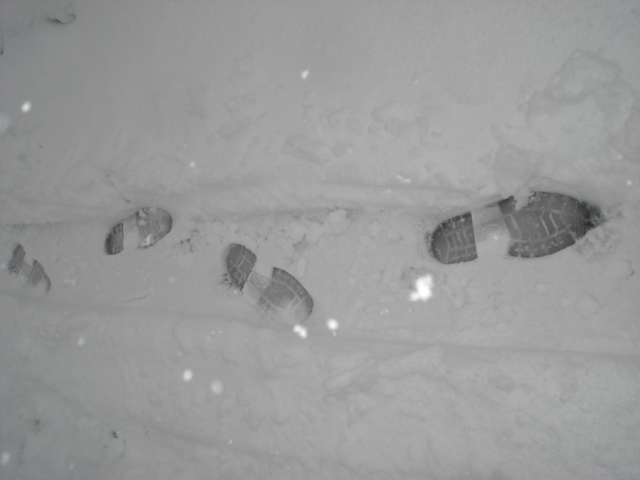 We must have had at least 4 inches of snow, more in some places. It’s beautiful the way it sits on gates and hedges. 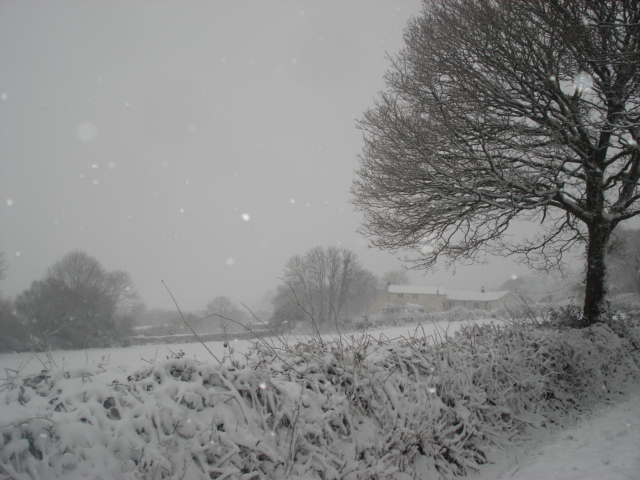 Walking back up the lane towards home, we got a view of our house in the snow, a welcome sight, knowing how warm it is inside. Luckily we don’t have any B&B guests booked in at the moment, as I think they would struggle to get here today. 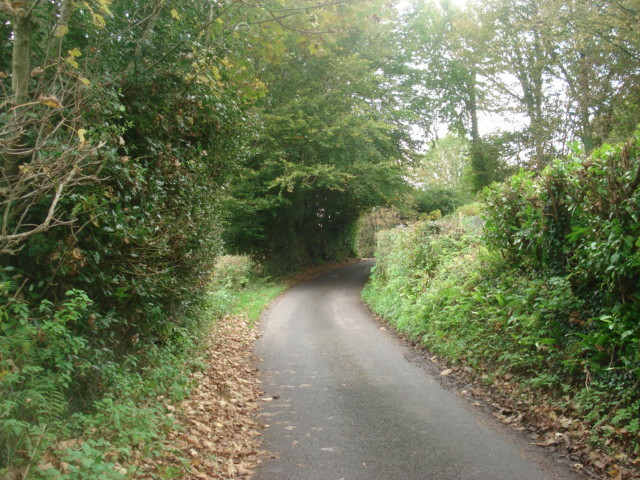 This afternoon we went for a walk round the country lanes near our house. It’s lovely to see the changing colours of the leaves and all the leaves on the ground. 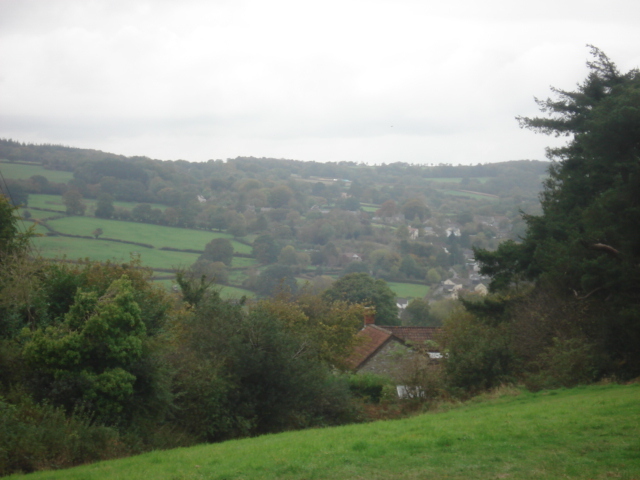 It’s nice to stretch your legs and breathe in the fresh country air, even when its not a sunny day. There was a lot of noise the other day in the field right by our garage. 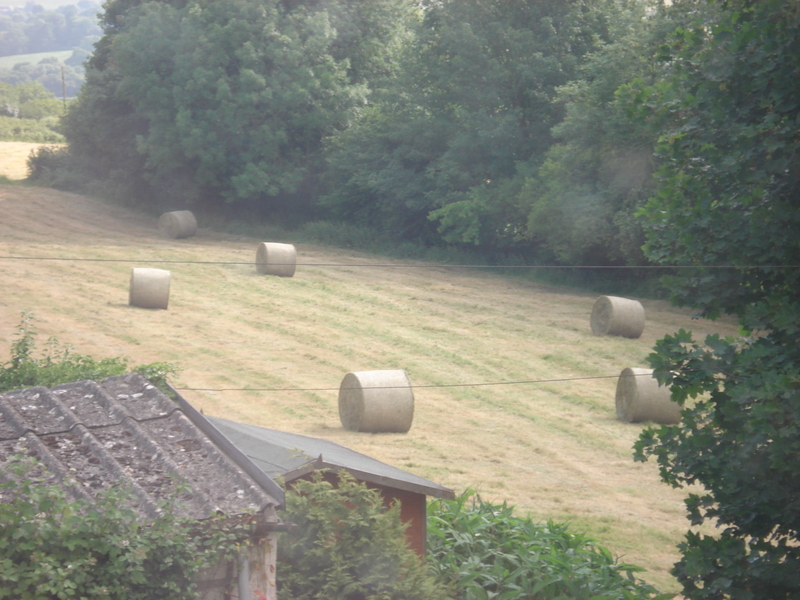 The farmer had cut all the grass down and had brought his tractor in to bale it up. It was quite ingenious. This tractor drove over the cut grass and pulled the grass up and and formed it into a bale and then shot it out the back. Next another piece of machinery comes along, picks up the bale and shrink wraps it in black plastic. 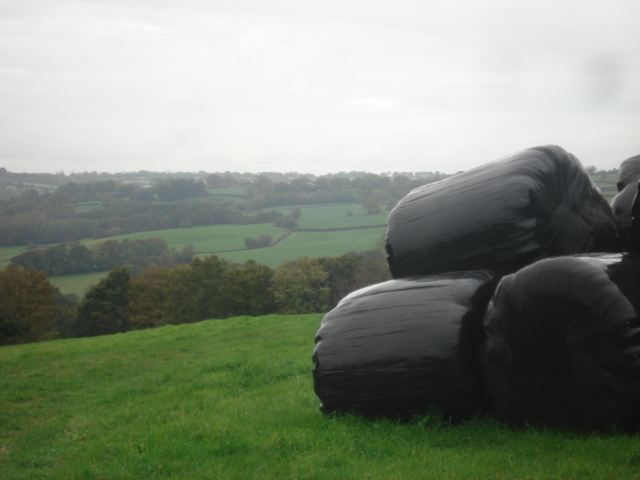 This is clever stuff, it just winds the black plastic all round the bale and then shoots it off into the field. 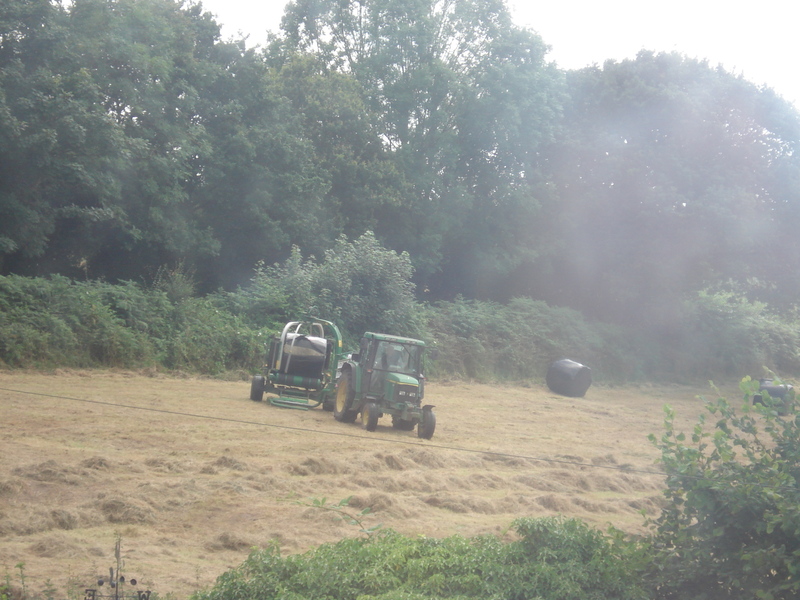 The two tractors worked right across the field until all the cut grass was baled up and wrapped in black plastic to protect it. You can see all this from the guest bedroom window. 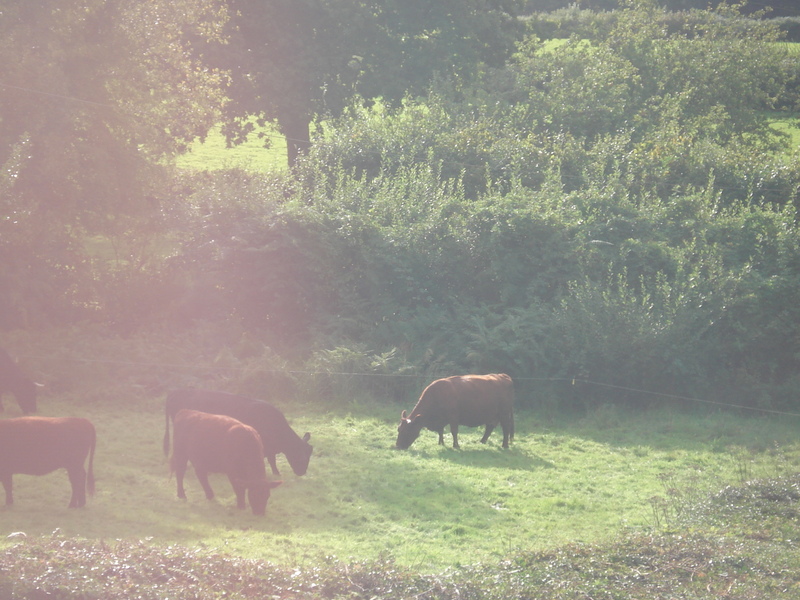 We woke the other day to loud bassy mooing. 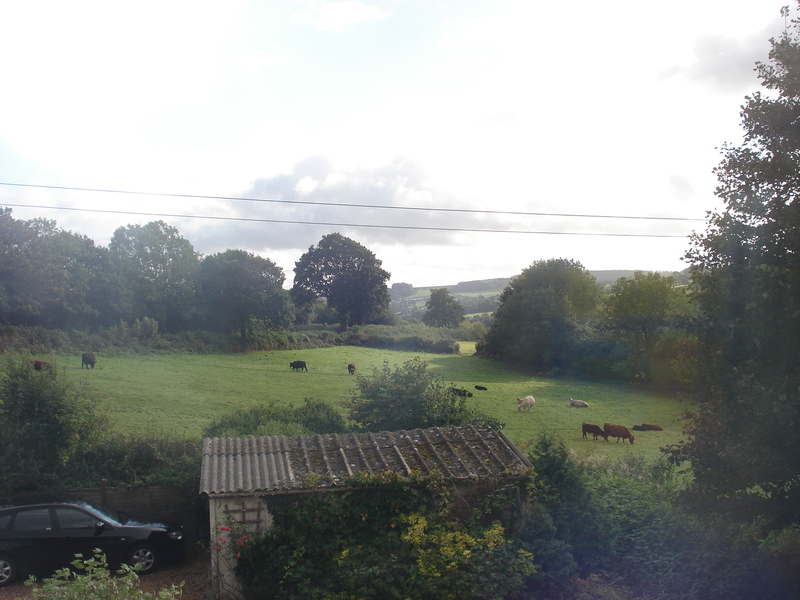 When we looked out of our bedroom window a number of differently coloured cows had been moved into the field behind our garage. On closer inspection we realised they were steers as they had horns! It really makes you feel like you like in the country to hear mooing so close by. 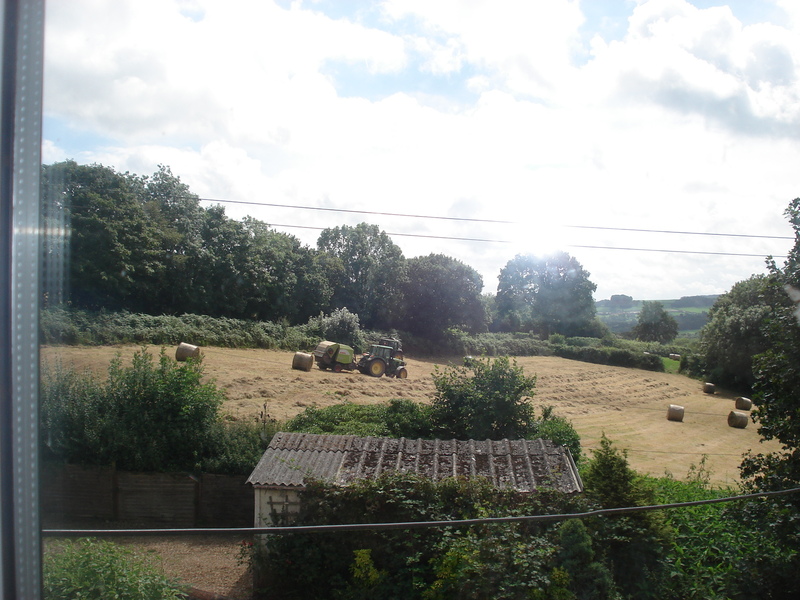 Our local farmer has been busy, cutting the grass in the fields behind our garage to make forage. 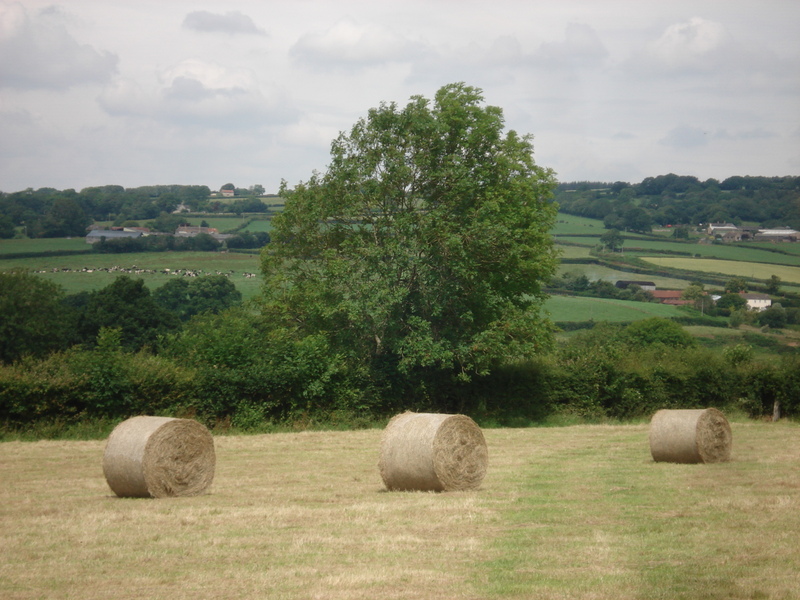 The result has been some lovely “swiss rolls ” in the fields. 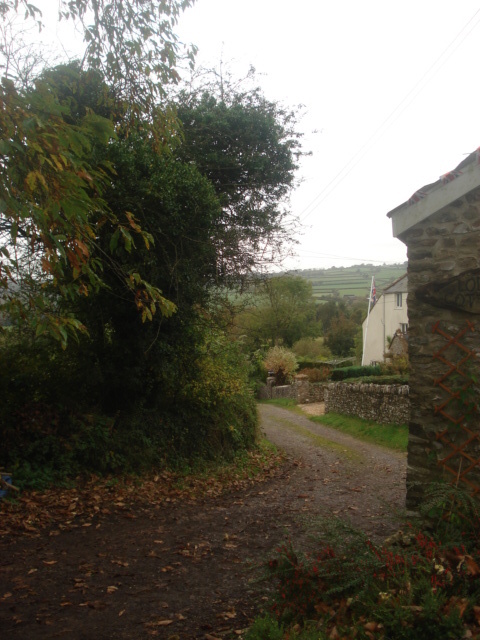 If we walk down our lane, these fields are on the right hand side. 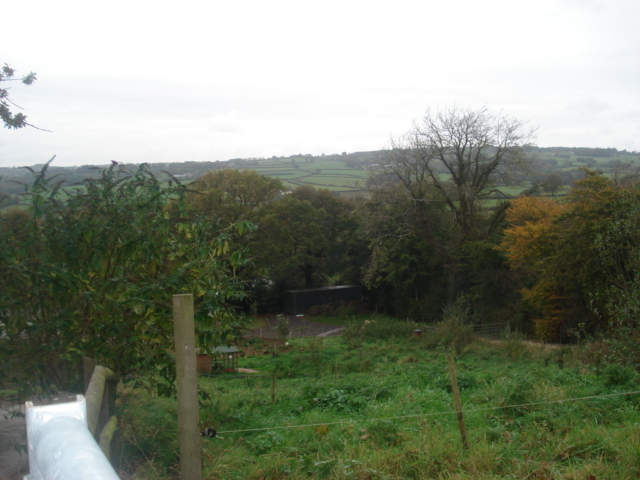 If you stop at the gate and peer through the field, the next picture is the view. Spot the cows in the fields. What a lovely view!! We love watching the changing seasons around here. You definitely feel more at one with nature than living in a town. You notice things you wouldn’t normally notice such as the fields and the different hedgerow flowers.